Tree Removal and Hedge Trimming may seem like easy tasks, but they require expertise to achieve a great result. Our skilled Auckland-based contractors understand the techniques and have the right equipment to get the job done efficiently. We handle all sizes of trees, through felling into safe and manageable sizes. We also offer efficient hedge trimming services to keep your hedges looking smart and tidy. Tree removal isn’t complete until the stump has been removed. We specialise in stump grinding. Small and big stumps are removed effectively. We ensure that our professionals are well trained to handle all types of trees. Our pruning protects your trees & bushes and can enhance the value of your property. Cleaning up debris from stumps, grinding, trimming and pruning is part of our business. We take great care to avoid any damage to your property. Our tree work contractors are committed and take pride in the quality they deliver to you. At Auckland Fences, quality service delivery is non-negotiable! All the work done at your home is managed by one person, to ensure communication is always clear. – We give what you want on time and within your budget. – We ensure complete waste removal. In addition, we are a one-stop-shop for all your property maintenance, landscaping, fencing and gates. From your first inquiry, we work hard to provide you with an accurate quote based on your requirements. Working with us will give you peace of mind as we work efficiently and at the same time adhering to our high quality standards. Our friendly staff are unmatched anywhere, as we hope to work with you again and again. Our tree, hedge, stump and pruning services cover all of Auckland, including the North Shore, West Auckland, Waitakere and South Auckland. 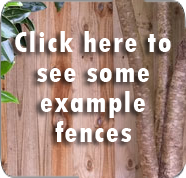 Choose Auckland Fences today, you’ll be glad you did!